No 12 is located on the grounds of Barna House, which was once the Lynch family home and dates back to 1786. In 2004 Edward Holdings developed the estate and constructed two new apartment buildings, and the original stables were renovated into three townhouses. Barna House still stands on the grounds. 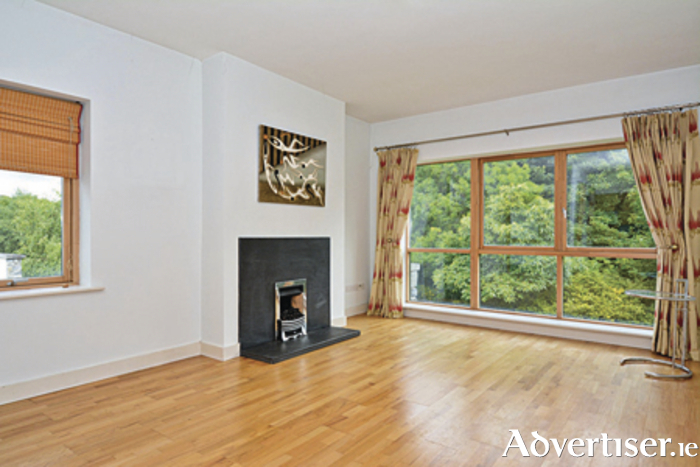 The development is meticulously maintained and extends down to the shores of Rusheen Bay. No 12 Seabury is a spacious, first floor, two bed apartment. The property is presented in superb condition and is ready for immediate occupation. Size is 88sq m/947sq ft approximately. Accommodation includes two double bedrooms, one of which is en suite, main bathroom, utility, and a large kitchen/living/dining room. A balcony from the kitchen overlooks a communal courtyard. The property has all modern features that one would expect from a luxury property of this calibre. The BER is D1 on BER cert no 106168131, with an energy performance indicator of 235.53 kWh/sq m/yr. Asking price is €250,000 and viewing is recommended.